Innovations in communication technology are staggering these days. The digital era requires a continuous innovation cycle from cloud communication providers. For example, Vonage is a business communications provider that was recently granted 19 new patents that brought its total, in the US alone, to more than 170 patents. The company has numerous foreign patents along with several pending applications in jurisdictions throughout the world. Vonage is one of the largest VoIP providers in the industry and was originally founded in 1999. In this article, we’ll review the new Vonage patents and examine the effects these technology acquisitions might have on the VoIP industry and on Vonage’s customers. Here we will discuss some of the new Vonage patents. These patents were recently added to Vonage’s already long list of patents in the US. This patent will advance VoIP capabilities. It will do this through the use of dedicated locations routing numbers to directly provide traffic exchange and interconnection between non-carriers. 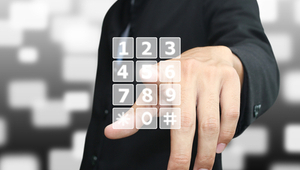 This is an excellent move for VoIP systems. It will help manage and secure a block of phone numbers available through the NANPA. It will allow companies consistent communication with non-carrier and carrier networks alike. During 2013, Vonage actively participated in a government-funded trial to connect current networks with VoIP systems, and two years later, the FCC provided a number of VoIP service providers, including Vonage, the capability to secure direct phone numbers. The technology behind this patent will provide customers greater visibility with regards to incoming callers. It will offer valuable insights about direct customer communications. 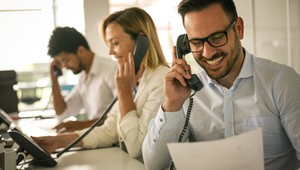 Whenever a customer’s call is forwarded from one department to another, the information will be transmitted via different means, such as a voice message or caller ID, to demonstrate the way an incoming call was received, handled, and processed. This will allow for advancement in cloud-based communications, enabling more consistent service and higher quality. These advancements include automatic and dynamic allocation of SBC resources and VoIP media relay (cloud-based) to enhance quality measurement, voice capacity and load balancing of various network resources to set up communications efficiently on a hosted PBX VoIP platform. This will allow for advancement in cellular communications, offering more comprehensive and inclusive integration into numerous broader networks. This includes registration of a VoIP service provider with a cellular device’s home carrier. It also means roaming networks will reduce charges for customers. It also consistently and effectively pinpoints and transmit communications to VoIP devices. This technology allows for modifications to SIP and monitoring of call quality, which will allow for the simultaneous handling of different actions to boost efficiency. A new or improved innovative product that satisfies customer requirements will offer Vonage the ability to penetrate new markets without the threats of competitors as long as the company manages to retain its innovative advantage. Patents play a major role to help a business, like Vonage, obtain and keep hold of its innovative advantage. In a number of cases, a patent portfolio can increase the value of the company. Vonage may soon realize that the combined value of its physical assets and its personnel may be dwarfed by the increasing value of its various patents. Furthermore, many angel investors and venture capitalists look favorably on organizations that have protected their innovative ideas using patents. How is Vonage benefitting from these patents? The Vonage patents will give the company a legal right to prevent competitors from copying, selling, manufacturing, or importing its invention without its permission. The company will remain protected for a specific period of time, allowing it to keep the competitors at bay. Vonage can also license its patents for the use of other companies, or even sell it like any other asset. Therefore, it can become a vital source of revenue for the business. Besides adding value to Vonage, another key benefit that the company can derive from patent protection is that it can keep its competitors, in the telecommunications industry, from copying or emulating its innovative ideas. Essentially, Vonage can use its patent portfolio as an asset and a weapon of corporate warfare. The company can use it to launch attacks on its competitors, degrade their market share and position, and protect its assets and generate greater revenues at the same time. These patents can encourage companies in the VoIP industry to pour more funds into their research and development programs to come up with more innovative communication solutions. This will lead to more tech enhancements in the industry in the years to come. This is because these companies are aware that their ideas will not be copied and sold. This acts as an incentive and fuels more innovation. Additionally, patents can reduce competition in the VoIP industry by preventing new firms from entering the market. The recent Vonage patents will enable the company to allow its customers to use the cloud more reliably. It will also give them more functionality and features just like conventional telephony solutions. These recent breakthroughs will also allow Vonage to deliver an improved experience for all its customers. Vonage is continuing to explore and innovate greater possibilities for their technology, which will provide enhanced services to the customers. With these latest patents, Vonage has been able to achieve new innovative milestones. 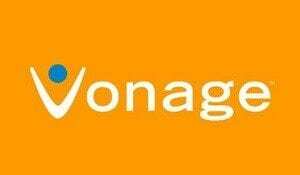 To learn more about the features and services Vonage has to offer, check out our in-depth review of Vonage here.